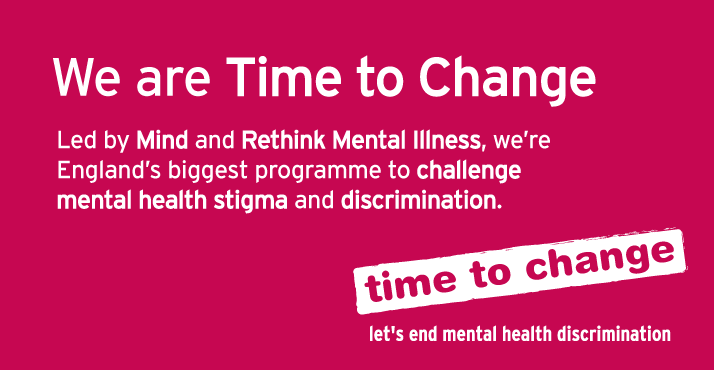 I was very fortunate to attend a Time to Change event last week - focusing on Mental Health, Young People and the Media. Four young people spoke openly and bravely about their experience of mental illness - and were able to share how they felt mental illness was portrayed in the media. I was in the audience along with other 16-25 year olds and several journalists / TV / soap writers. Anna Williamson chaired the discussion. A panel of TV writers also discussed how they try to portray the on-screen fictional characters with real mental health problems, which are commonly seen in real life. Lunch was delicious (we were at the very swanky Hospital Club) and we were given the chance to network - I met some super people (very good opportunity to give out a few of my new cards..!) - all showing great interest in raising awareness of mental health issues. It was particularly great to meet Sue Baker - the CEO of Time to Change.